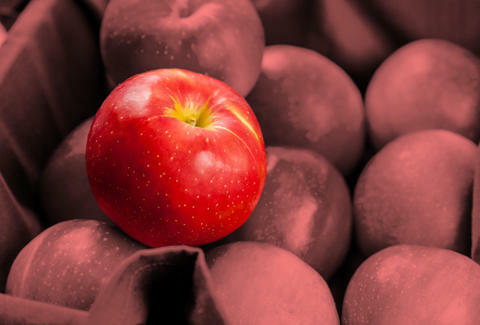 There are tons of different apple varieties to choose from when you go grocery shopping: Fuji, McIntosh, Gala, Scrumptious, Golden Delicious, and more. You probably didn't even realize Scrumptious is not a real apple variety, because we made that up. That just goes to show how many there are out there! But there's only one you need to care about, and that's the SweeTango apple. And you should buy it in supermarkets now, because they'll be gone by December (my local Trader Joe's sold out temporarily already, but blessedly restocked). 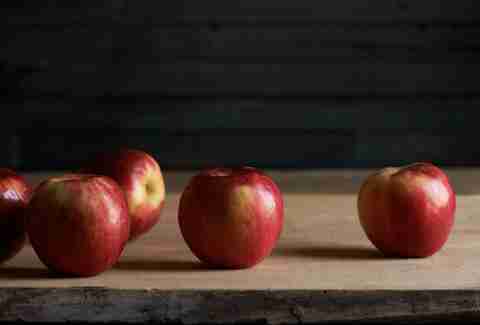 Let's learn about this most special apple, shall we? What the hell is a SweeTango? 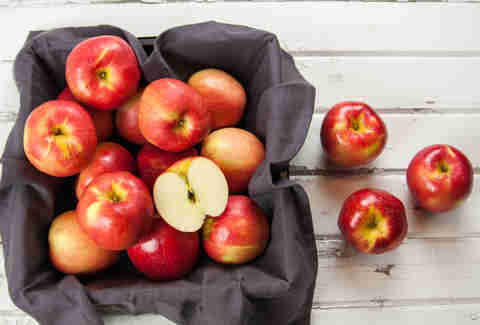 A SweeTango is a hybrid apple, and it came on the market when two beloved apples did the horizontal mambo and created a new apple. To be fair, it was apple breeders (a real job!) at the University of Minnesota who crossed a Honeycrisp and a Zestar! to create this new variety. Wait, shouldn't it be SweetTango? A valid question, but you're going to have to take that up with the University of Minnesota. 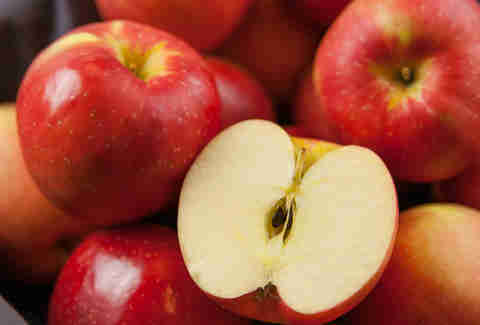 Why is this apple so delicious? For one, it's easily the crunchiest apple you've ever had in your life. And that's not an exaggeration, as the Guinness Book noted that a crunch from eating a SweeTango is 79.1 decibels, which is about as loud as an alarm clock. 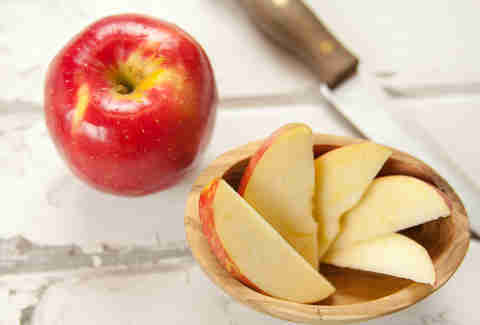 The apple is wonderfully crispy, and sweet like a Fuji or a Honeycrisp without being overly saccharine. It is the ideal apple. But don't just take our word for it. We first heard about this limited-edition apple from comedian and podcaster Brian Frange -- a devoted SweeTango lover -- who spoke of its praises numerous times on different social media platforms, and even ranked it No. 1 on his site The Appleist, which is what Thrillist would be like if it were just about apples that Brian Frange enjoys eating. But seriously, take a look at these beautiful things. If you live in Montana, North Dakota, South Dakota, Wyoming, or Nebraska, you are out of luck. But if you don't, find a supermarket near you that carries them and go nuts. Remember: They're only on shelves until December. Lee Breslouer is a senior writer for Thrillist, and is eating a SweeTango right this second. Follow him to crunch @LeeBreslouer.